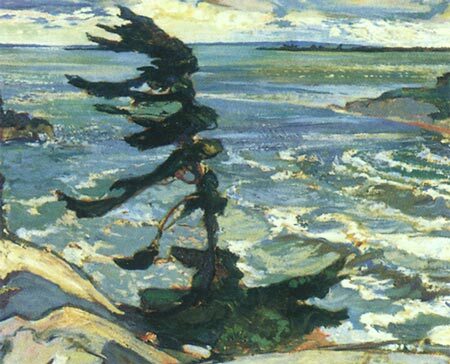 The Art Gallery of Ontario opened its first exhibition featuring the Group of Seven on this date in 1920. This entry was posted in Anniversaries, Canada, Painting, Romanticism on May 7, 2011 by Michael Happy. This entry was posted in Birthdays, Myth, Romanticism on May 6, 2011 by Michael Happy. This entry was posted in Birthdays, Myth, Romanticism on May 5, 2011 by Michael Happy. 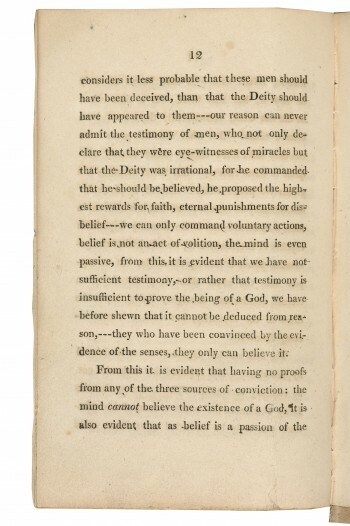 Percy Bysshe Shelley was expelled from Oxford for atheism two hundred years ago today after publishing his pamphlet, The Necessity of Atheism. Cayley: How does Blake relate to the Romantic movement? Frye: I think Blake wraps up the whole Romantic movement inside himself, although nobody else knew it. You can find a good deal of the upside-down universe in all of the other Romantics, most completely, I think, in Shelley, where a poem like Prometheus Unbound everything that’s “up there,” namely Jupiter, is tyrannical, and everything that’s down in caves is liberating. Cayley: But Shelley takes this in a more atheistical direction than Blake does. Frye: Shelley doesn’t derive primarily from the Biblical tradition in the way that Blake does. Blake is always thinking in terms of the Biblical revolutions, the Exodus in the Old Testament and the Resurrection in the New Testament. Cayley: In other words, Blake has a given structure of imagery from the Bible that he works with, and that distinguishes him from the other Romantics. This entry was posted in Anniversaries, Bible, Blake, Cosmology, Romanticism on March 25, 2011 by Michael Happy. Today is Christina Rossetti‘s birthday (1830-1894). This entry was posted in Bible, Birthdays, Romanticism on December 5, 2010 by Michael Happy. The anniversary of the death of the Marquis de Sade passed a few days ago, so tonight it’s Peter Brooks’s film adaptation of Marat/Sade. This entry was posted in Romanticism, Saturday Night on December 4, 2010 by Michael Happy. Further to yesterday’s post, here is a collection of Frye references to de Sade. This entry was posted in Bob Denham, Imagination, Romanticism on December 3, 2010 by Bob Denham. On this date in 1835 the HMS Beagle, with Charles Darwin aboard, arrived at the Galapagos Islands. This entry was posted in Anniversaries, Audio, Romanticism on September 15, 2010 by Michael Happy. This entry was posted in Anniversaries, Romanticism on September 3, 2010 by Michael Happy. A real rarity: the Edison Studios 1910 film adaptation of Frankenstein — thirteen minutes and one reel, as was the fashion of the time. It is startling to think that just barely one lifetime after her death, Shelley’s novel was already being adapted at the very dawn of the film industry, making her monster one of the most recognizable of all movie characters, even if that character usually bore little resemblance to her original literary creation. Today is Mary Shelley‘s birthday (1797-1851). This entry was posted in Anniversaries, Irony, Popular Culture, Romance, Romanticism on August 30, 2010 by Michael Happy.